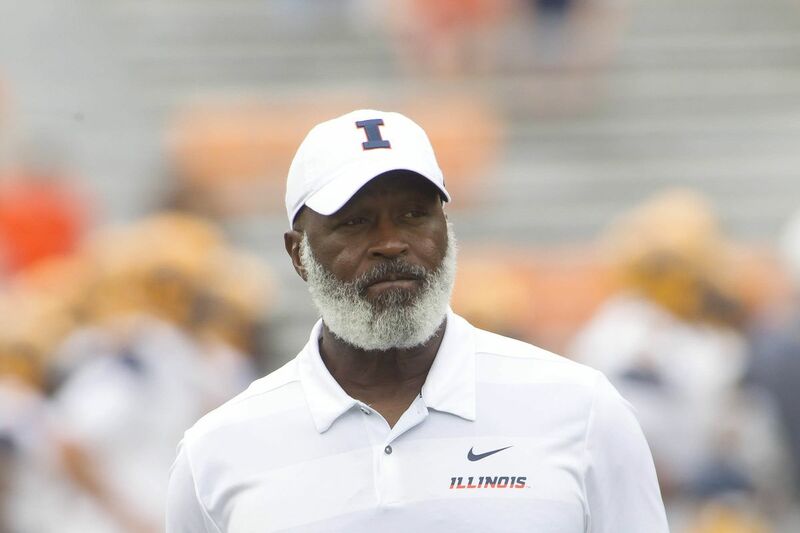 The Early Signing period for 2019 football recruiting begins a week from today and despite the fact that it was first made available by Hardy Nickerson’s resignation 44 days ago, the Illinois Fighting Illini Football Defensive Coordinator position remains vacant. Several head coaches have come and gone in that timeframe. In just the last two weeks, a number of new Power 5 head coaches have been announced, most of which have already named both coordinators. Now granted, some have just moved their entire staff from their previous head coaching gig to a new one, but not in all cases. Mack Brown’s second tour of duty in Chapel Hill already has a full staff. Mike Locksley is assembling a recruiting powerhouse since Maryland hired him last week. USC wasted little time in bringing in a highly regarded offensive coordinator when they, like Illinois, decided to stand firm with a coach who produced a losing record. However, there’s a method to the madness. Many fans forget that Rod Smith was hired in January, well after the early signing period had ended. It’s certainly not unthinkable that a head coach with a desirable defensive coordinator gets fired for sexual misconduct in the next month. It happened last year with an offensive coordinator, so there’s no reason it can’t happen again this year. This is a groundbreaking strategy for assembling a coaching staff, because while the Sabans and Meyers of the world take heat for adding the disgraced coach to their staff, Illinois can simply add its coordinators, who tend to be completely unconnected to the sins of their former bosses. It’s about more than just an innovative new strategy though. Lovie is not the type to panic. He knows the value of patience, and taking more time to replace one coach than the rest of the country takes to replace an entire coaching staff is a reflection of that. While they’re scrambling for their instant gratification to sell to themselves and their entitled, spoiled fans, Lovie doesn’t defer to these modern attitudes. He knows that more will be achieved through patience than by chasing that dopamine hit, and he’s more than willing to work through adversity to make the perfect hire. Furthermore, this will counterintuitively HELP our recruiting. On the surface, it might appear that it would be concerning as a defensive end or linebacker prospect to sign with a school that hasn’t named a defensive coordinator yet. That’s exactly the kind of attitude we DON’T NEED in #LittyvILLe. We only want defensive recruits who WANT to be ILLINI, no matter who the defensive coordinator is. By not having a defensive coordinator, we GUARANTEE that we ONLY get those players to whom loyalty is the most important thing. Lovie is absolutely lapping the field at this point. For vintage inspired, high quality, and well-designed University of Illinois apparel, check out Fourth and Kirby, and look for the TCR Collection while you’re at it! Kofi Cockburn signs with Illinois Top-50 center officially signs with the Illini. That Lanky Kid From Your High School Announces Transfer To Illinois Football (UPDATE) Basically. The #FreeLukeFord Movement is taking off He needs to be free.